Certified. Clean CARFAX. Corolla LE **BACKUP CAMERA**, **BLUETOOTH**, **GOOD TIRES**, **GOOD BRAKES**, **REARVIEW CAMERA**, **POWER PACKAGE**, **8 AIRBAGS**, ** GREAT DEAL! **, UNDER FACTORY WARRANTY, GREAT GAS MILLAGE, BEST SELLING CAR, FOR THE LONG DRIVES, Corolla LE, 4D Sedan, 1.8L I4 DOHC Dual VVT-i, CVT, FWD, Super White, Steel Gray Cloth. Odometer is 11268 miles below market average! Priced below KBB Fair Purchase Price! 28/36 City/Highway MPGToyota Certified Used Vehicles Details:* Limited Comprehensive Warranty: 12 Month/12,000 Mile (whichever comes first) from certified purchase date. Roadside Assistance for 1 Year* Transferable Warranty* 160 Point Inspection* Roadside Assistance* Powertrain Limited Warranty: 84 Month/100,000 Mile (whichever comes first) from original in-service date* Vehicle History* Warranty Deductible: $50We treat the needs of each customer with paramount concern and understand that you have high expectations. As a car dealer, we enjoy the challenge of meeting and exceeding those standards each and every time. Whether you are stopping by to test drive a new vehicle or to receive routine maintenance, allow us to demonstrate our commitment to excellence! Certified. CARFAX One-Owner. Clean CARFAX. Camry LE **BACKUP CAMERA**, **BLUETOOTH**, **GOOD TIRES**, **GOOD BRAKES**, **REARVIEW CAMERA**, **POWER PACKAGE**, **8 AIRBAGS**, ** GREAT DEAL! **, ONE OWNER, UNDER FACTORY WARRANTY, PRICE TO SELL, LOW MILES, BEST SELLING CAR, Camry LE, 4D Sedan, 2.5L I4 SMPI DOHC, 6-Speed Automatic, FWD, Predawn Gray Mica, Ash Cloth. Odometer is 5030 miles below market average! Priced below KBB Fair Purchase Price! 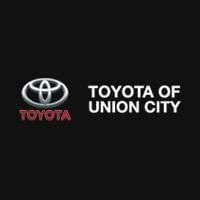 24/33 City/Highway MPGToyota Certified Used Vehicles Details:* Warranty Deductible: $50* Roadside Assistance* Limited Comprehensive Warranty: 12 Month/12,000 Mile (whichever comes first) from certified purchase date. Roadside Assistance for 1 Year* 160 Point Inspection* Transferable Warranty* Powertrain Limited Warranty: 84 Month/100,000 Mile (whichever comes first) from original in-service date* Vehicle HistoryAwards:* 2017 KBB.com 10 Most Comfortable Cars Under $30,000 * 2017 KBB.com 10 Best Sedans Under $25,000 * 2017 KBB.com Best Resale Value Awards * 2017 KBB.com 10 Most Awarded BrandsWe treat the needs of each customer with paramount concern and understand that you have high expectations. As a car dealer, we enjoy the challenge of meeting and exceeding those standards each and every time. Whether you are stopping by to test drive a new vehicle or to receive routine maintenance, allow us to demonstrate our commitment to excellence! Certified. CARFAX One-Owner. Clean CARFAX. RAV4 SE **SUNROOF/MOONROOF**, **BACKUP CAMERA**, **BLUETOOTH**, **LEATHER SEATS**, **GOOD TIRES**, **GOOD BRAKES**, **PREMIUM WHEELS**, **REARVIEW CAMERA**, **POWER PACKAGE**, **SE PACKAGE**, **8 AIRBAGS**, ** GREAT DEAL! **, ONE OWNER, FACTORY POWERTRAIN WARRANTY, LOW MILES, LET'S GO PLACES, RAV4 SE, 4D Sport Utility, 2.5L 4-Cylinder DOHC Dual VVT-i, 6-Speed Automatic, AWD, Black Currant Metallic, Black Fabric. 22/29 City/Highway MPGToyota Certified Used Vehicles Details:* Limited Comprehensive Warranty: 12 Month/12,000 Mile (whichever comes first) from certified purchase date. Roadside Assistance for 1 Year* Transferable Warranty* Roadside Assistance* Warranty Deductible: $50* Powertrain Limited Warranty: 84 Month/100,000 Mile (whichever comes first) from original in-service date* 160 Point Inspection* Vehicle HistoryAwards:* 2016 IIHS Top Safety Pick+ * 2016 KBB.com 10 Best SUVs Under $25,000We treat the needs of each customer with paramount concern and understand that you have high expectations. As a car dealer, we enjoy the challenge of meeting and exceeding those standards each and every time. Whether you are stopping by to test drive a new vehicle or to receive routine maintenance, allow us to demonstrate our commitment to excellence!